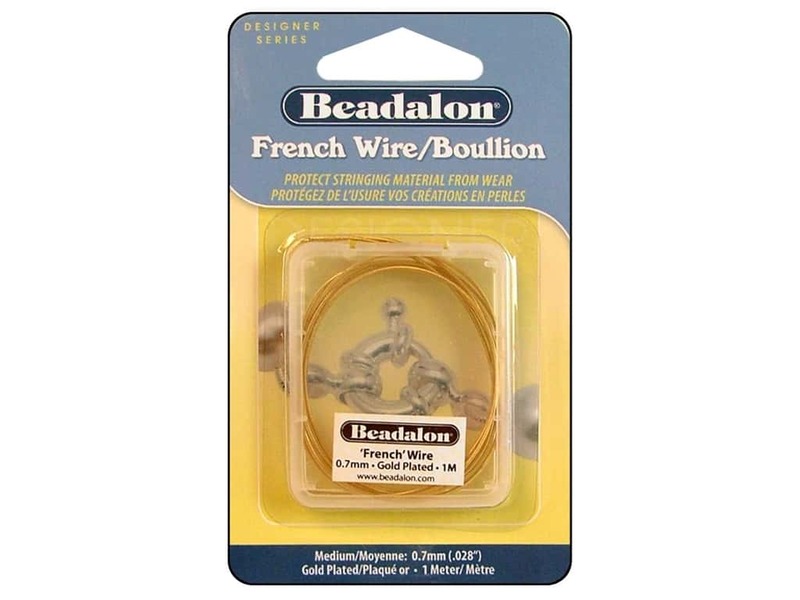 Description: Beadalon French Wire is a fine, gauge, coiled, wire that acts as a safeguard to prevent clasps from wearing on or cutting through silk and other bead cords. The proper size French Wire should slide easily but not loosely on string. 0.7 mm (.028 inch) thick. 1 meter (39.3 inch) long. Gold Color. See more Beadalon French Wire. Beadalon French Wire 0.7 mm Gold Color 1 m -- CreateForLess 5.00 out of 5 based on 1 ratings. 1 user reviews.